Most of us have given blood to help someone else. 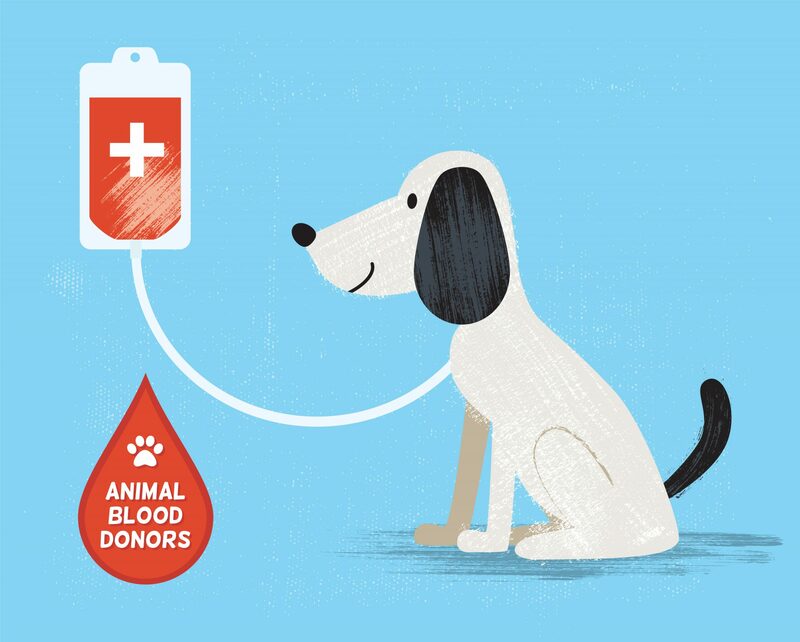 Did you know that your dog can be a blood donor to help other canines in need? Oakland Veterinary Referral Services has an in-house canine blood bank called Buddies for Life. OVRS collects and stores blood products that are used to treat a variety of doggie problems including blood loss, immune mediated diseases, genetic disorders, and more. We successfully provide over 400 blood transfusions per year and save many canine lives in the process. Our volunteers and dog blood donors are the true heroes who make this possible. Wouldn’t it be wonderful if you and your fur friend could be one of these heroes? Imagine if your best fur friend faced a sudden trauma or a condition that required transfusion and there was no suitable blood match. That would be truly tragic. This is why compassionate pet owners choose to have their dogs be blood donors each year to help prevent these tragedies from occurring. If you think you and your dog would like to help, we first ensure that your pet is a good match as a blood donor. These requirements protect the safety of all pets. Does your pet fit the criteria? Awesome. Let’s explore why Buddies for Life makes a huge difference for our canine friends. OVRS collects four products at our blood bank. These products provide life saving properties to so many animals in our hospital. Packed Red Blood Cells – Red blood cells are the cells that are vital for carrying oxygen throughout the body. Animals that are anemic, due to issues such as blood loss, infection, or autoimmune problems, can benefit as this product contains pure red blood cells. Fresh Plasma – Plasma is the fluid that carries red blood cells and contains proteins that are vital for blood clotting. Pets with clotting disorders or low blood pressure may need this special form of plasma to help them survive. Cryoprecipitate – This form of plasma is also crucial for effective blood clotting. We use it for animals with certain bleeding disorders, as well as those that are septic. Platelet-rich Plasma – Yet another type of special plasma, this one has a highly concentrated source of platelets that can help animals that have active bleeding or very low platelet supplies. These are the more common forms of blood products we use frequently at our hospital. If you would like to know more about them, we welcome your questions. Q: Do we just drop by to donate? A: For more information, download our PDF Blood Donation form or apply using our online form. If your dog qualifies, contact us to schedule a blood donation appointment. Q: How long does a blood donation usually take? A: The process is usually about 20 minutes. We do our best to make it convenient for you while keeping safety in mind. Q: Can my dog give blood at our veterinarian for donation to OVRS? A: Due to potential contamination issues, your dog must donate blood in-house with OVRS. Q: Can my dog be put under anesthesia while donating blood? A: While anesthesia has many uses, it’s better for your dog (and safer) if he is awake while donating blood. Since the process only takes 20 minutes, it’s best to do the donation this way. Many Thanks to our Dog Blood Donors! We want to thank our past and current dog blood donors and appreciate those who are considering donating. You and your dogs are heroes who save lives and have helped many lives. If you think that your dog might have what it takes to be a donor, or if you would like more information regarding our OVRS Buddies for Life dog blood bank, please download the donation form or contact us at bloodbank@ovrs.com.